Left Wikia? Please remember to add your new wiki to our list of forked wikis. Please visit the Monaco help Wiki. —Henry Ford, Founder of Ford Motor Co.
Give me choice or give me death! A skin changes the look and feel of a site without changing its core features. Monaco and Monobook were the skins before Wikia. 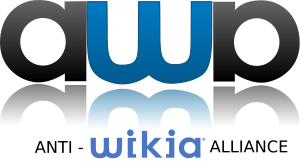 "Wikia" (nicknamed Oasis) is a new mandatory skin on Wikia/FANDOM/Wikicities which was instituted sitewide on November 3, 2010 and May 25, 2018, despite massive objections. After the Wikia Staff failed to compromise, the purpose of the Anti-Wikia Alliance changed - primarily to help editors transfer their site from Wikia, and secondly to create a forum where Wikia editors to discuss how the skin changes affect them. Comments are welcome. 1.1 Where do I go if I leave Wikia? 1.1.1 What is the easiest and best wiki to move to? 1.2 Are there alternatives to Wikia for hosting? 1.4 How do I host my wiki on another site other than ShoutWiki? Where do I go if I leave Wikia? There are plenty of wiki farms out there, as well as independent wikis that welcome new users. What is the easiest and best wiki to move to? a link to the newly created ShoutWiki wiki. The helpful ShoutWiki Staff will do the rest. ShoutWiki has Monaco. You can enable it on your preferences, and it is not a premium feature. With the Dantman Monaco port, wikis running MediaWiki 1.16+ can run Monaco. Installation is in less than 10 minutes. The Club Penguin Wiki Network successfully installed Monaco and has its CSS customized for Monaco. Are there alternatives to Wikia for hosting? For skins offered, and details on how to move to these farms, see wikifarm. This system was devised by members of the AWA community and constitute the opinion of AWA users. Subjective ratings content in this graph are not necessarily the opinions of ShoutWiki or its affiliates. An ad-free wiki hosting site which supports semantic databases and allows for free wiki customization for admins via the site settings page, you can choose whatever skin you want and you can choose whether or not anonymous users can edit or not. Founded in January 2010 by Bulbapedia, ZeldaWiki and Super Mario Wiki. See About. It's not a host as such, but an organization of independent wikis. Several NIWA staff have offered hosting space to Nintendo wikis leaving Wikia that are not able to afford hosting on their own. Ad revenue sharing is available, email joe frakmedia.net to get it. It is not a wiki hosting service, but it is a well-established wiki about Battlestar Galactica with extra bandwidth. 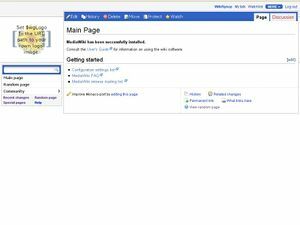 Encyc is a free wiki repository for pages. It is not a wiki farm, but it supports some independent wikis. free and paid options Build wiki applications, WYSIWYG editor, search MS attachments, email integration. Free version limited to 20 pages and 5 users. Recently purchased by Google (as of 1 Nov 06). How do I host my wiki on another site other than ShoutWiki? Every wiki is different so contact the wiki staff first. Download a database dump from Special:Statistics on your wikia (towards the bottom). Alternatively, for advanced users who know how to use scripts, if you're moving to your own server, you may use the now-obsolete MediaWikiDumper — a tool in Perl that makes much better dumps than Special:Statistics (preserves all diff links, logs, images, deleted edits, etc. ), or MediaWiki Grabbers, the "very same tool but in PHP and is much easier to use". Contact the new host and they will explain how they want you to upload the database dump (Special:Import can be used for about 100 pages at a time). ↑ Merry Christmas from ShoutWiki staff! | ShoutWiki Blog. Monaco skin - what the skin is and about the difficulty in installing it. Buy outs - Wikia regularly buys out wikias. Your large wikia may not want to leave Wikia because of being under a paid contract. Closed wikis - these are list of wikias that has been deleted by staff without admin consent. Moving your wiki from Wikia to another host (off-Wikia), experience of past moves from Wikia. Potential Wikia mass exodus, Wikia, about the Monaco skin two years ago.